Observation - Anas platyrhynchos - UK and Ireland. 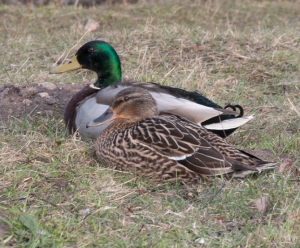 Description: A pair of Mallards resting on the grass near the lake. A pair of Mallards resting on the grass near the lake.